CBS: “The most rapid increase in the debt under any U.S. President.” (“National Debt Has Increased $4 Trillion Under Obama,” CBS News, 8/22/11)So President Obama has reiterated his demand to have Congress cede him the power to grow the debt unchecked by the legislative branch. Again, repeating what CBS News’ Mark Knoller wrote of our president over a year ago: He’s presided over “the most rapid increase in the debt under any U.S. president.” And, “The debt was $10.626 trillion on the day Mr. Obama took office.” NOW, the debt stands at $16.34 trillion. And President Obama’s budget proposal this year, if enacted, would have added another $6.4 trillion in debt over ten years. 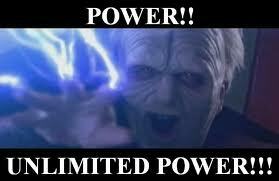 Tags: President Obama, unlimited power, to borrow, debt, national debt To share or post to your site, click on "Post Link". Please mention / link to the ARRA News Service. Thanks! by Kerby Anderson, Point of View: Today is December 7 – a day that President Roosevelt said would be “a date which will live in infamy.” On that fateful morning of December 7, 1941, America was attacked without warning. More than 2,400 Americans died and 1,100 were wounded. Our country was changed forever. This attack led us into war, and the citizens of America responded with courage and resolve. So it may be well to reflect on what took place and how we today must also rise to the occasion of an attack on America more than a decade ago. 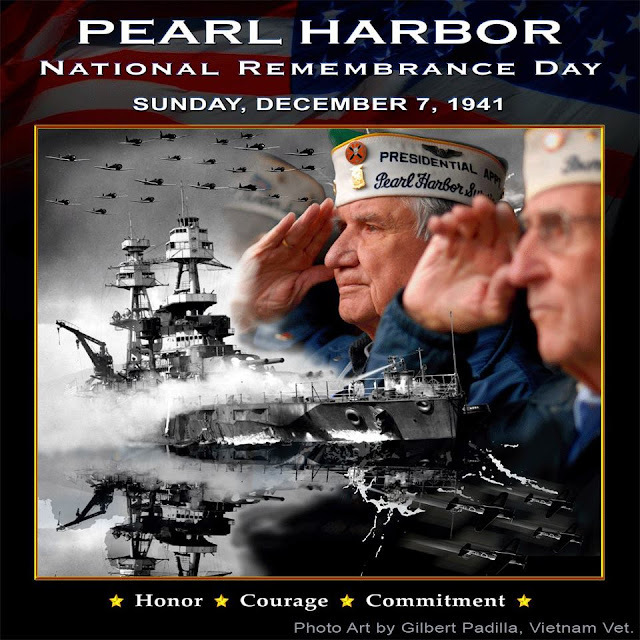 Today is known as National Pearl Harbor Remembrance Day. It is a day when we honor the lives lost in that attack on Pearl Harbor and also honor the veterans of World War II. But it can also be a day in which we also pay tribute to the men and woman who are currently serving in the armed forces in an effort to promote freedom and justice around the world. If you travel to Hawaii, you need to stop at the memorial in Pearl Harbor. The USS Arizona stands a testimony to the 177 crew members who died as a result of the attack on December 7. I understand that more than 40 million visitors have visited that memorial and have therefore honored the heroic efforts of these sailors and marines. If you have been there, you know that it has become a sacred place as well as reminder of what can happen when others (either a nation or terrorists) attack this nation. In 1941, the enemies of the U.S. were Japan and Germany. Today they are our friends. But we have new enemies. Terrorists who want to destroy us and to destroy our way of life. We are protected from their evil intentions by those who serve in uniform. So today take a moment to reflect on your freedom that was bought with a price. And honor those who died for your freedoms and honor those who protect you today. December 7 is an important day, and I didn’t want it to pass without challenging you to consider its importance. I’m Kerby Anderson, and that’s my point of view. Tags: Remembering, Pearl Harbor, veterans, December 7, photo, Gilbert Padilla, Commentary, Kerby Anderson, Point of View To share or post to your site, click on "Post Link". Please mention / link to the ARRA News Service. Thanks! by Ken Blackwell: My buddy, Glenn Beck, has made a great contribution to the TEA party movement and to a renewal of popular interest in our Founding Fathers and their ideals. For all that he deserves praise. But,I believe, he is making a serious error in abandoning the civil right of marriage. The Republican Party was founded in opposition to two historic wrongs. The party’s first platform in 1856 denounced “slavery and polygamy — the twin relics of barbarism.” Slavery was finally put down with a terrible toll — 630,000 Americans dead in the Civil War. The new movie, Lincoln, tells the dramatic story of the Thirteenth Amendment to abolish slavery. Polygamy was successfully fought with laws. Throughout the latter third of the nineteenth century, Republican presidents and Republican Congresses fought against this relic of barbarism. President Rutherford B. Hayes called upon Congress to make it a law for the western territories: an American must take an oath he is not a polygamist before he could vote for statehood, before he could even serve on a jury! That’s a pretty strong stance for marriage. Faced with this unyielding opposition, the Mormon Church wisely reconsidered its position on polygamy. Mormons desperately wanted to be included in the American Union. They were willing to give up a sincerely held tenet of their new religion in order to gain acceptance. This turnabout led to one of the funniest episodes in congressional history. When Church Elder Reed Smoot was elected by Utah to serve in the U.S. Senate, he was vigorously opposed. Critics said that even though Smoot was not a polygamist himself, he had strongly supported polygamy as one of the Mormon Council of Twelve. Idaho Sen. William E. Borah, a fellow Republican and also a Mormon with only one wife, rose to argue for seating Smoot. “I would rather serve in this august body with a polygamist who doesn’t polyg than with a monogamist who doesn’t monog.” Smoot was seated. Washington scuttlebutt had it that T.R.’s daughter, Alice Roosevelt Longworth, was only with difficulty dissuaded from naming her newborn daughter Deborah (from Borah). The LDS Church has since become a mainstay of support for traditional marriage. BYU Family Science Ph.D.'s have provided some of the best scholarship supporting the tradition family. They clearly understand the difficulties that arise for the dignity and standing of women—and especially the hardships for children—that stem from plural marriage. Turley’s shocking comments were wildly cheered by the room full of journalists, liberal congressional aides, and federal law clerks. True to his word, Prof. Turley has gone to court trying to overturn bans on polygamy. Okay, it’s a civil question that deserves a civil answer: Children need and children have a right to the married love of a mother and father. Every reputable social science study shows that children do best when they have a loving, married mother and father in the home. They have better outcomes for health, education, and welfare. Children of married parents are less likely to commit crimes, far less likely to be victims of violence and sexual abuse, far less likely to fail in school, far less likely to drop out, use drugs, get pregnant out of wedlock. If we care about children and the future of this nation, we cannot casually dismiss the institution of marriage. Secretary Tim Geithner certainly understands the fiscal impact of out-of-wedlock births. Liberal that he is, Geithner said we cannot cut Medicaid spending—the main driver of deficits—because forty percent of all children born today are eligible for Medicaid. He means the 41% born out of wedlock. Married parents want to care for their own children. They usually do not want the Nanny State. Single parents and cohabiting parents are often forced to rely on government assistance. If you want Socialism, abolish marriage. If you want “Julia” to be the future of America, vote against the civil institution of marriage. Julia, of course, was the Obama campaign team’s fictional single woman target voter. Julia goes from Head Start to college, parenthood, to retirement in a seamless web of dependency on government. She decides to have a child at age 29. No man in her life is even hinted at—no husband, no father, no brother, not even a male friend or business partner. Except one. The One: Mr. Federal Government. It's hard to understand why anyone would want to end traditional marriage. It’s the HOV lane to the Welfare State. Why any conservative, libertarian, or Republican would want to advance this process is a mystery. Traditional marriage is a great institution. 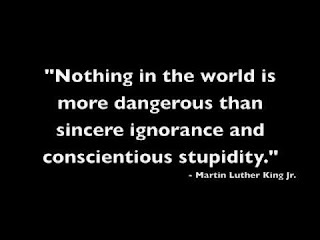 And it’s never been in greater danger. J. Ken Blackwell is a conservative family values advocate. Blackwell is a senior fellow at the Family Research Council. He is a National Federation of Republican Assemblies board member and a contributing author to the ARRA News Service. Tags: Glenn Beck, marriage, traditional marriage, State of the Union, editorial, Ken Blackwell, To share or post to your site, click on "Post Link". Please mention / link to the ARRA News Service. Thanks! 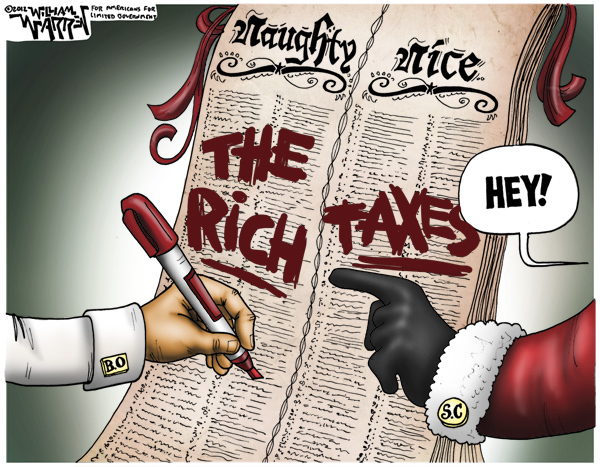 Tags: Obama, naughty list, the rich, nice list, taxes, editorial cartoon, William Warren To share or post to your site, click on "Post Link". Please mention / link to the ARRA News Service. Thanks! Geithner: Our Way Or The Cliff! by Gary Bauer: For all the talk about the need for bi-partisan compromise on the fiscal cliff (just 25 days away), Democrats have become as stubbornly inflexible as, well, a donkey. Obama has staked out his position -- tax rates must go up -- and he is refusing to budge. Yesterday Treasury Secretary Timothy Geithner was interviewed on CNBC. Consider this exchange:CNBC: "When it comes to raising taxes on the wealthy … if Republicans do not agree to that, is the administration prepared to go over the fiscal cliff?" 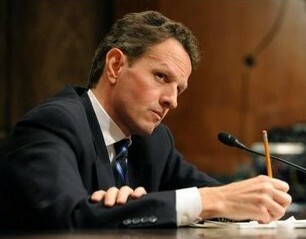 Geithner: "Oh, absolutely. There's no prospect in an agreement that doesn't involve the rates going up on the top 2 percent of the wealthiest. "In other words, it's Obama's way or the highway, and 90% of American households will face an average $3,500 tax increase. Whenever a Republican takes a stand against raising tax rates, media commentators fly into hysterical reactions about how uncompromising conservatives are hurting the poor, the middle class and putting the economy at risk for their narrow ideological agenda. But whenever Obama or Geithner adopt such hardline positions, the liberal commentators usually nod approvingly and move on. By the way, congressional Democrats evidently aren't too keen on Barack Obama's proposal either. Yesterday, Senate Republican Leader Mitch McConnell tried to put Obama's "ridiculous" fiscal cliff proposal on the Senate floor for a vote. Guess what happened? Harry Reid objected and refused to allow the vote! My friends, here is a key fact to keep in mind as this debate drags on: Republicans have already made a good faith offer. They agreed to $800 billion in additional revenue through tax reform measures. That is a huge concession for the party of lower taxes, less spending and smaller government. But it's not enough for Barack Obama and other Democrats like former DNC Chairman Dr. Howard Dean. As we have explained repeatedly, raising taxes on the so-called "rich" doesn't solve the problem. The problem is that government is simply too big and spending too much. I was reminded today that all the talk about marginal tax rates misses the point. We should be talking about real tax rates -- the taxes required to pay the real costs of big government. Obama's tax increases on the rich amount to $80 billion a year, when he's running deficits of $1,000 billion a year. As Thomas Sowell put it, "Raising the tax rates on everybody in the top 2% will not get enough additional tax revenue to run the government for 10 days. And what will the government do to pay for the other 355 days in the year?" Howard Dean has his solution: He wants to go over the fiscal cliff in order to raise everybody's taxes! Here's what he said on MSNBC last night:"The truth is everybody needs to pay more taxes, not just the rich. … we're not going to get out of this deficit problem unless we raise taxes across the board... And if we don't do that, the problem is the pressure is going to be on spending even more. "Unfortunately, Dr. Dean's prescription still doesn't pay for the real cost of big government. But he may have just spilled the beans as to Obama's real goal in this fiscal cliff showdown. Obama really doesn't want a deal. That's why he is making laughable offers he knows Boehner can't accept, while rejecting proposals he said he wanted last year. Obama wants the revenues from the expiration of all the Bush tax cuts, but he needs to make sure Democrats don't get blamed for raising your taxes. So far, the polls indicate he is succeeding. Tags: Tim Geithner, Howard Dean, Barack Obama, fiscal cliff, higher taxes, Gary Bauer, Campaign for Working Families To share or post to your site, click on "Post Link". Please mention / link to the ARRA News Service. Thanks! The House is in recess until Monday. The Senate reconvened began consideration of two district judge nominees: Mark E. Walker to be District Judge for the Northern District of Florida and Terrence G. Berg to be District Judge for the Eastern District of Michigan. At noon, the Senate voted 92-4 to pass H.R. 6156, a bill establishing Permanent Normal Trade Relations with Russia. The bill overwhelmingly passed the House of Representatives last month and now goes to President Obama for his signature. Earlier this year, Russia formally entered the World Trade Organization (WTO). In order to be accepted into the organization, Russia agreed to lower its import tariffs, strengthen intellectual property protections, and resolve problems through a rules-based dispute resolution system. The Russia Trade Bill makes normal trade relations permanent between the U.S. and Russia, allowing U.S. companies to take advantage of the new trade rules that the WTO’s other 155 members enjoy. The bill—which also includes important human rights provisions that would deny visas and freeze the financial assets of Russian officials thought to be involved in human rights violations. The Senate then voted 94-0 to confirm the Walker nomination. Yesterday, the Senate voted 72-23 to confirm Michael P. Shea to be U.S. District Judge for the District of Connecticut. Conservative Leadership Transition in Washington, D.C. 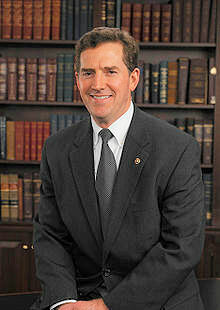 Senator Jim DeMint (R-SC), a conservative warrior in the U.S. Senate, announced that he will step down in January, 2013 before the new session of Congress begins. In April, DeMint will become the new President of the Heritage Foundation, Headquartered in Washington, D.C. DeMint spent most of his life as an entrepreneur, building and running his own marketing firm. In 1998 he won a seat in the House of Representatives and in 2004 was elected to the Senate. Dr. Edwin J. Feulner, president of Heritage Foundation, praised the selection of Jim DeMint to lead the Heritage Foundation. Three years ago, Feulner advised the Heritage's Board of Trustees that hewould step down as president in April of 2013. He said,"I urged them to set up a formal succession process and begin a national search. During their nationwide search, the Board looked for a successor who would keep Heritage on its course of growth and innovation, and preserve our widely acknowledged status as an institutional center of the conservative movement. And the Board has found a splendid successor. I'm delighted to announce that the Board has elected Senator Jim DeMint of South Carolina to take over next April as President of The Heritage Foundation." Fuelner detailed the transition and his future role at Heritage, "Between now and April, I'll spend time with Jim showing him the ins and outs of my duties as president. In April, my wife Linda and I will take an extended vacation -- in part to allow Jim the freedom to take the reins. After that, I will remain involved with The Heritage Foundation and the conservative movement. I will continue as a Heritage Trustee and advisor to the team and as an enthusiastic supporter of Jim's leadership. I hope you will join me and the entire conservative movement as I welcome Jim DeMint and a new era of our fight for freedom." The AP notes today that President Obama is calling for an elimination of the debt ceiling, in part because of the leverage it gives Republicans to push for spending cuts and deficit reduction. Speaking on the floor this morning about why handing the president unchecked power to increase the nation’s borrowing is such a bad idea, Leader McConnell said, “What the President’s really interested in, as we all learned yesterday, is getting as much taxpayer money as he can — first by raising taxes on small businesses that he thinks make too much money, and then on everybody else— not so he can lower the debt or the deficit, but so he can spend to his heart’s content. . . . This isn’t about getting a handle on deficits or debt for him. It’s about spending even more than he already is. Why else would he demand the power to raise the debt limit on his own? Tags: Senator Jim DeMint, Heritage Foundation, President Obama, demands absolute control, debt ceiling, Mitch McConnell repsonds To share or post to your site, click on "Post Link". Please mention / link to the ARRA News Service. Thanks! The Senate reconvened and at 2 PM, the Senate will begin consideration of H.R. 6156, a bill establishing Permanent Normal Trade Relations with Russia. As commented on yesterday, the Convention on the Rights of Persons with Disabilities failed to get the 67 votes needed for ratification by a vote of 61-38. Later, the Senate approved an amendment from Sen. John McCain (R-AZ) to require a report on denying the use of air power against civilians and rebels in Syria to the Defense authorization bill, S. 3254, and then voted 98-0 to pass the bill. Yesterday, The House passed (398-2) H.R. 6582 — "To allow for innovations and alternative technologies that meet or exceed desired energy efficiency goals, and to make technical corrections to existing Federal energy efficiency laws to allow American manufacturers to remain competitive." The House reconvened today at 9 AM an proceeded immediately wrapped-up the following issues and bills with no further actions pending today. H.R. 5817 — "To amend the Gramm-Leach-Bliley Act to provide an exception to the annual privacy notice requirement." – WAS WITHDRAWN - The bill will be reconsidered next week along with an amendment. H.R. 6620 — "To amend title 18, United States Code, to eliminate certain limitations on the length of Secret Service Protection for former Presidents and for the children of former Presidents." Comment: More Government Spending! H.R. 6605 — "To eliminate an unnecessary reporting requirement for an unfunded DNA Identification grant program." H.R. 6223 — "To amend section 1059(e) of the National Defense Authorization Act for Fiscal Year 2006 to clarify that a period of employment abroad by the Chief of Mission or United States Armed Forces as a translator, interpreter, or in an executive level security position is to be counted as a period of residence and physical presence in the United States for purposes of qualifying for naturalization if at least a portion of such period was spent in Iraq or Afghanistan, and for other purposes." H.R. 6602 (vote 392-0) — "To make revisions in title 36, United States Code, as necessary to keep the title current and make technical corrections and improvements." S. 2367 (vote 398-1) — "To strike the word "lunatic" from Federal law, and for other purposes." In other words, when The Hill surveyed a whole swath of Democrat senators, not one endorsed the $1.6 trillion in tax hikes proposed by President Obama and Treasury Secretary Tim Geithner last week. Meanwhile, the president is sticking by this "unserious" proposal, demanding these tax rate increases. In a meeting with business leaders today, Obama said, “Were not insisting on [higher] rates just out of spite …but rather because we need to raise a certain amount of revenue.” But last year, he was singing a different tune. During the debt ceiling negotiations in the summer of 2011, President Obama went the White House’s press briefing room and declared, “What we said was give us $1.2 trillion in additional revenues, which could be accomplished without hiking taxes - tax rates but could simply be accomplished by eliminating loopholes, eliminating some deductions and engaging in a tax reform process that could have lowered rates generally while broadening the base.” So given that Obama said over a year ago he can get the revenue he wants without raising tax rates, what does that say of his quest to raise rates? President Obama and Democrat leaders in Congress are demanding tax rate increases that even the president acknowledged last year aren’t the only way to get more revenue and which key Senate Democrats have so far declined to endorse. And these tax hikes are so important to these Democrats, they’re willing to driving the economy right off the fiscal cliff to get them. Meanwhile, the president is sticking by this unserious proposal, demanding these tax rate increases. In a meeting with business leaders today, Obama said, “Were not insisting on [higher] rates just out of spite …but rather because we need to raise a certain amount of revenue.” But last year, he was singing a different tune. During the debt ceiling negotiations in the summer of 2011, President Obama went the White House’s press briefing room and declared, “What we said was give us $1.2 trillion in additional revenues, which could be accomplished without hiking taxes - tax rates, but could simply be accomplished by eliminating loopholes, eliminating some deductions and engaging in a tax reform process that could have lowered rates generally while broadening the base.” So given that Obama said over a year ago he can get the revenue he wants without raising tax rates, what does that say of his quest to raise rates? Tags: Washington, D.C., US Senate, Obamas's tx planUS House, bills To share or post to your site, click on "Post Link". Please mention / link to the ARRA News Service. Thanks! 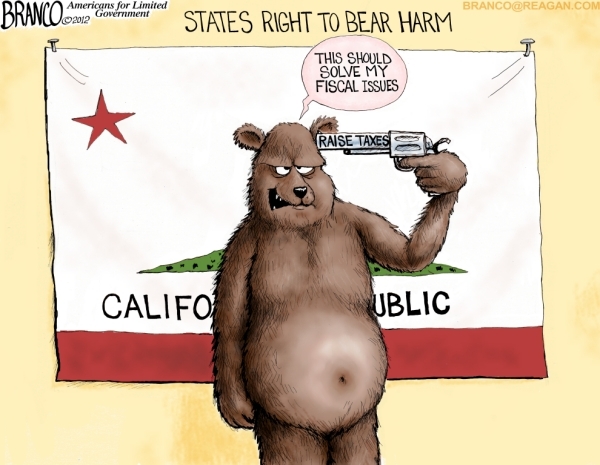 by AF "Tony" Branco: States like California trying to solve their fiscal issues by raising taxes. In the report, titled “The Great California Exodus: A Closer Look," Tom Gray and Robert Scardamalia found Californians have fled to states like Texas, Arizona, Nevada, Colorado, Idaho, South Carolina, and Georgia because those states have a better economic climate with less taxes and regulation. Tags: California, fleeing the state, leaving, moving, higher taxes, more taxes, editorial cartoon, AF Branco To share or post to your site, click on "Post Link". Please mention / link to the ARRA News Service. Thanks! So the question is "When can we believe President Obama? His changing positions and dangerous rhetoric and agenda may be more dangerous than a coming upon a western diamondback rattlesnake. 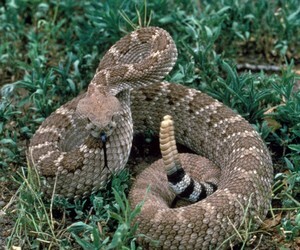 I know the agenda of the Rattlesnake: "Leave me alone and I will leave you alone." Wish the same could be said for Big Government. Tags: President Obama, words, no increase in taxes, eliminate loopholes, deductions, Big Government, rattlesanke To share or post to your site, click on "Post Link". Please mention / link to the ARRA News Service. Thanks! Ken Blackwell and Bob Morrison, Contributing Authors: Many of our friends continue to register shock at the election returns of last month. How can it be?, they ask. It’s not so hard to figure out, we reply. The first Romney bumper sticker that appeared last year bore a startling resemblance to another famous corporate logo. What were they thinking? The first bumper sticker for the President’s re-election said simply: “ObamaCares.” Brilliant. We are not saying that President Obama does actually care about “people like me.” But voters polled on that question chose Mr. Obama over Mitt Romney by a whopping 81-18 margin. That’s fatal in politics. The American Enterprise Institute’s Henry Olsen identifies that voters want a President who cares about them. This certainly helped the GOP when Ike swamped the cold and cerebral Adlai Stevenson, when Reagan trounced Carter and Mondale, and when George W. Bush beat sighin’ Al Gore and windsurfing John Kerry. The 2012 election resembled Harry Truman’s come-from-behind “Give `em Hell” campaign of 1948. That year, too, Republicans could almost taste victory. They had taken over Congress for the first time in a generation on a TEA party-like slogan: “Had enough?” The Republican 80th Congress passed the Taft-Hartley Act—which organized labor hated—over Truman’s veto. Labor unions then were a much greater slice of the workforce. But Truman was a scrapper. He didn’t mind winning ugly. Braving the opposition of his universally admired Secretary of State, George C. Marshall, Truman recognized the State of Israel just minutes after it declared its independence. He issued an Executive Order de-segregating the armed forces. He increased farm subsidies. And he pushed class warfare at every opportunity. Sen. Robert Taft—the hero of Republican conservatives—dismissed Truman’s incessant campaigning “at every whistle stop” in the Midwest. Tens of millions of Americans still lived in whistle stops and took the frosty Ohioan’s words as reflecting a Big Business disdain for the little guys in those little towns. Democrats seized on the quote as evidence that Dewey was out of touch with Joe Sixpack. “That’s what they do to workers in the USSR,” they howled, playing on the blue collars’ known suspicion of communism. Throughout Election Night, famed radio commentator H.V. Kaltenborn assured his listeners that Dewey would pull ahead “when the rural counties are counted.” We saw a memorable repetition of this episode when Karl Rove challenged the Ohio count and pursued FOX News’s Megyn Kelly right down to the computer stations. It was as if the White Rabbit had chased Alice. In the end, Truman’s win at any price strategy proved successful. Although there were a million and a half fewer votes cast in the 1948 two-party contest then there had been, amazingly, in the wartime election of 1944, Truman got 1.5 million fewer votes than an obviously stricken FDR had gained in his last campaign. Still, Truman edged Dewey by more than two million popular votes and more than 100 Electoral Votes. One of our friends reported the day after the 2012 election that his lawyer daughter, who is personally pro-life but politically pro-choice, voted at 2:00 pm on Election Day. At 2:20, she got a text message on her iPhone from the Obama campaign thanking her for voting. Would she kindly contact six of her FaceBook friends and urge them to vote, too? We should never forget: In government, liberals move and breathe and have their being. 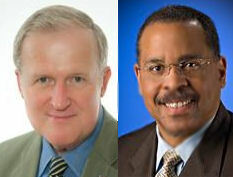 Tags: election 2012, echoes, Truman campaign, Ken Blackwell, Bob Morrison To share or post to your site, click on "Post Link". Please mention / link to the ARRA News Service. Thanks! In the Senate, you have more than enough Republicans to prevent the passage of anything truly harmful to our country. Nevertheless, you are already being pressured to abandon the principles voters elected you to uphold. The major news media, Democrat politicians, liberal interest groups, and even some weak-kneed Republicans are demanding that you not use the powers given to you by the electorate to stop the power-grab agendas of President Obama, Senate Majority Leader Harry Reid, and House Minority Leader Nancy Pelosi. The Democrat leadership does want to “fundamentally change” America. They want to increase federal power, federal spending, federal taxes, federal deficits, and federal debt. They want to give more advantages to their liberal allies and put more federal money into the pockets of their political cronies. They want to undermine further traditional values and to surrender more of our national sovereignty to international bodies. They want to weaken our country militarily and move America more rapidly in the direction of European socialism. Their entire leftist agenda opposes the principles on which you ran and the principles of the millions of people who elected Republicans to Congress. And now we count on you to stop them. Nobody else can stop them but you. You have the power, if you will use it. The whole leftist apparatus is gearing up to panic you and to force you to cave in. Don’t do it. All of them, the liberal Democrats, the labor unions, the leftist ideologues in the so-called “progressive” movement, and their allies in the print, broadcast, and online media will try to convince you that your political careers will be over if you don’t cave in. Let us remind you that these same people have always tried to defeat you — yet you won election. Whether your resistance to their current power grabs collapses or not, they will work just as hard to defeat you next time. But if you are seen to cave in now, next time they will be stronger. 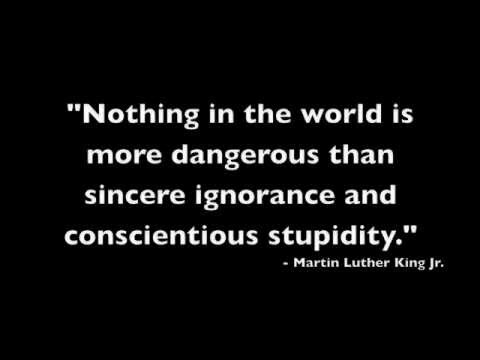 And if Republicans cave in now, when it really counts, next time you will be weaker, because your conservative base will be outraged. Many who worked hard to elect you in the past will never lift a finger for you again. There are two ways President Obama, Nancy Pelosi, and Harry Reid could get what they want out of the Congress now. First, just enough Republicans could vote with the Democrats and against most other Republicans to pass what Obama, Pelosi, and Reid want passed. Second, the Republican leadership could negotiate a “deal” with the Democrats and take most Republican Representatives and Senators with them. Either of those two courses would be a disaster for conservative principles because they would result in permanent advances for the “fundamental changes” the left wants to impose on our country. Let us also remind you that a great many potent conservative organizations and millions of conservative and liberty-loving voters do not believe in the divine right of incumbents to be re-nominated. Conservatives know how to recruit and support candidates. In recent election cycles the left has virtually eliminated “moderate” Democrats from the Congress. And you have no conservative Democrat colleagues at all. At the same time, those election cycles have resulted in the nomination and election of fewer and fewer Republicans who play footsie with liberal Democrats. In the Republican Party, conservatives dominate the primaries more and more, a process almost certain to continue. Not only do you now have one of the biggest House Republican majorities in the past century, in the Senate, you have 45 Republicans, more than enough to stop many bad decisions there. Suppose just enough Republicans cross the aisle to provide Democrats a majority in vitally important legislative battles now upon us. They will find themselves, come election time, the targets of both liberal Democrats and conservative Republicans, which isn’t likely to be healthy for their political careers. Suppose, on the other hand, that the congressional Republican leadership negotiates a “deal,” a “compromise,” with Obama, Pelosi, and Reid. The historic record of such deals shows that the Democrats usually clean the Republicans’ clocks. You will remember that, with all good will, President Reagan and then the first President Bush made deals to support some tax increases in return for Democrat promises to cut spending even more. In both cases, the new taxes were quite real, but far from cuts in spending, spending increases followed. Right now it is generally but incorrectly believed that Republicans aren’t able to negotiate from a position of strength. Of course, this time every element of the left will be in full-throated roar, yelling that the country will collapse if Republicans don’t give in to their demands. There is some danger that the congressional Republican leaders will decide to accept whatever deals they can get, which might mean that Democrats get real gains and Republicans again get empty promises. Or Democrats would get permanent changes and Republicans would get changes easily reversed by a future Congress. If such deals are made, conservative organizations and conservative and liberty-loving voters would see that the current leadership is not an acceptable alternative to the left. Conservatives would then likely repeat what they did in the 1970s, when they systematically and successfully undertook a multi-year effort to replace Republican congressional leadership. With President Obama in office for another four years and his leftist appointees working tirelessly to implement the left’s agenda, there is a virtual certainty that the economy will not have a significant recovery. More likely the country will suffer a continuation of Obama’s permanent recession. Yes, this is a time of testing for you. If Republicans provide a consistent, conservative alternative, the time will come, probably sooner than later, when most Americans will become fed up with the left’s failed agenda and be ready for a change to “throw the bums out” and restore limited, Constitutional government. So it’s in the interest of the country and in your personal interest for you to use the power you unquestionably have now to stand firm and not surrender your conservative principles, no matter how loud the clamor of people whose central interest is to advance the left’s agenda. Amy Ridenour, President, National Center for Public Policy Research. Somers H. White, President, Somers White Co., Inc. Tags: Open Letter, conservative leaders, Morton Blackwell, Republican, House, Senate To share or post to your site, click on "Post Link". Please mention / link to the ARRA News Service. Thanks! Is GOP Leadership In Congress Dividing Conservatives? Dr. Bill Smith, Editor: Yes, it is indeed bad in these times of fiscal distress, concerns over the declining economy, rising debt, pending loss of income and jobs, loss of freedom and liberty, and no foreseeable recovery under the continuance of the Obama administration for another four years. It appears to some that the Alinsky method is alive and tearing at the very fabric of the soul of America. It also appears that some elected Republican leaders may be more concerned about political territory and consolidating . It even appears some leaders would prefer that both social and even staunch fiscal conservatives would "get out of the boat" and least "shut up." It's been said, "It is just four more years and we can still recover," especially if the House Republicans remain united. Unfortunately, the word is out from reputable sources that the House GOP leadership may be attempting to shed, corral, or at least silence the voices and influence of its more conservative members. Thus sending signals of either compromise to its caucus members or a move towards a moderation of conservative values and principles verses taking rock solid conservative stands on national issues before Congress. Below are current sources which support my concern. However, don't miss the "ray of hope" by over 100 conservative national leaders identified at the end. Two first-term Republican Tea Party stalwarts - Tim Huelskamp of Kansas and Justin Amash of Michigan - were removed by party leadership from the powerful budget committee in what Huelskamp called "a vindictive move." A top House conservative, Jim Jordan of Ohio, was scheduled to unveil his own fiscal cliff plan on Tuesday but has backed off in the wake of Boehner's offer to President Obama. "The president's proposal and Speaker Boehner's counteroffer fail to seriously deal with the reality of the problems facing the nation," said Tim Phillips, president of Americans for Prosperity, the advocacy group partially backed by billionaires David and Charles Koch. "Conservatives are looking for a leader to fight against tax increases, to push back against wasteful government spending, and address the fiscal challenges in a bold way. Sadly, this plan leaves conservatives wanting." Second were remarks expressed by two conservative Representative at the weekly Heritage Foundation Bloggers Briefing. Lachlan Markay of Heritage Investigates summarized the situation as Huelskamp, Amash Say House Leadership “Punished” Dissent.A pair of the House of Representatives’ most conservative members said Tuesday that they were blindsided by news that they would be removed from key committees during the upcoming Congress. Rep. Tim Huelskamp (R-KS) claimed that leadership reneged on an agreement with House freshman inked in 2010. Under the deal, Huelskamp said, any member would be free to “vote their conscience and their district” as long as they agreed to fund-raise for Republican candidates and inform leadership of their votes prior to casting them. Both congressmen painted the move as an ongoing trend of hostility towards more conservative members of the Republican caucus. Huelskamp tied it to rule-changes at the Republican National Convention that gave the national committee veto power over state delegates. While the committee assignments have obvious political implications, they will be felt most in the policy arena, Huelskamp said. “This doesn’t hurt you at home,” he said, but it may deal a blow to conservative policy proposals on Capitol Hill. The following are comments by Nathaniel Ward on My Heritage titled GOP Fiscal Cliff Plan a ‘Categorical, Preemptive CapitulationOn initial examination, the House Republicans’ counter-offer to address the looming “fiscal cliff” tax hikes and spending cuts “appears little more than categorical, preemptive capitulation,” Heritage Foundation experts Alison Fraser and J.D. Foster argue. First, the proposal fails to address the real source of our nation’s fiscal crisis: massive overspending, especially on rapidly-expanding entitlement programs like Medicare, Medicaid and Social Security. Second, the program includes:"An anti-tax reform program of reductions in the availability of certain deductions and exemptions—without offsetting reductions in rates. While preferable in general to raising tax rates, this proposal largely dooms future efforts at tax reform based on the sound principle of broadening the tax base to lower the rates. Instead, this proposal would broaden the base, not to lower rates, but to raise revenues. So much for improved economic growth. While the GOP plan does profess its continued support for the principled budget the House passed this year, Fraser and Foster deem it “a dud. It is utterly unacceptable. It is bad policy, bad economics, and, if we may say so, highly questionable as a negotiating tactic.”Conservative should not loose hope. 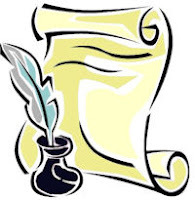 Morton Blackwell has detailed on RedState an Open Letter to U.S. House and Senate Republicans signed by him and over a hundred leading conservatives voices in America. In summary, the letter called for Republicans to stand firm.“It’s in the interest of the country and in your personal interest for you to use the power you unquestionably have now to stand firm and not surrender your conservative principles, no matter how loud the clamor of people whose central interests is to advance the left’s agenda." Tags: Republicans, House leadership, dividing, conservatives, open letter To share or post to your site, click on "Post Link". Please mention / link to the ARRA News Service. Thanks! 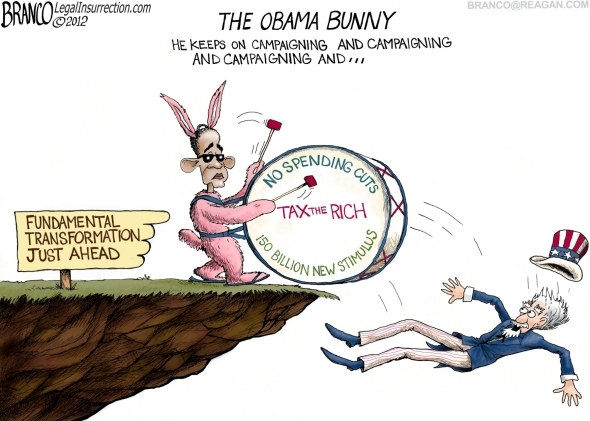 The Obama Bunny - Just Keeeps On Spending! The House of Representatives voted months ago to avoid the fiscal cliff by making sensible spending cuts and stopping big tax increases scheduled to take effect in January. This already-passed plan would simultaneously help our economy and serve as a down payment on the big reforms needed to truly defeat the debt. If you know anything about America’s financial situation, President Obama just insulted your intelligence. Tax increases cannot solve Uncle Sam’s spending problem. If we want more jobs and a more prosperous future for our country, we need to cut spending. Tags: editorial cartoon, AF Branco, Obama bunny, just keeps on spending, fiscal cliff, RSC, Jim Jordan, To share or post to your site, click on "Post Link". Please mention / link to the ARRA News Service. Thanks! Democrats Still Not Serious On Entitlement Reform; "Obama Is Willing...To Go Over The Cliff"
The Senate reconvened and resumed consideration of Treaty #112-7, the Convention on the Rights of Persons with Disabilities. The Senate voted at noon and needed 67 votes to ratify the treaty. The vote was 61-38 and ratification f the treaty was defeated. Opponents of the Treaty had warned that it could widen acceptance of abortion, deny the parents of special needs children their rights, and compromise U.S. sovereignty. Folks, the vote was entirely too close. This UN Treaty should have been defeated by even more votes. President Obama had signed the treaty more than three years ago, but it still needed two-thirds approval by the Senate for acceptance. The greatest disappointments were those Republicans whom voted to ratify the treaty: John McCain, Kelly Ayotte, John Barrasso, Susan Collins, Olympia Snowe, Lisa Murkowski, Scott Brown, and Richard Lugar. While moderate Republicans might have been expected to joined Democrats in subjecting the US to more UN control, it was most disturbing that John McCain who had run for president in 2008 against President Obama and Kelly Ayotte of New Hampshire voted for the bill. Yesterday, the Senate voted 92-1 to confirm Paul William Grimm to be U.S. District Judge for the District of Maryland and 93-0 to invoke cloture (cut off debate) on S. 3254. At 2:15, the Senate will resume post-cloture consideration of S. 3254, the fiscal year 2013 Defense authorization bill. Yesterday, the House did not conclude consideration of on H.R. 5817, Eliminate Privacy Notice Confusion Act - Amending the Gramm-Leach-Bliley Act to provide an exception to the annual privacy notice requirement and the bill is not on today's schedule. The following bill were scheduled for today. However as of this posting only "relief" bills for individuals needing permanent resident status had been considered. HR 6602 — A bill to keep Title 36 of the United States Code updated. HR 6605 — A bill to remove a reporting requirement for an unfunded DNA ID grant program. Yesterday, the House Republican Leadership sent an new offer to the President to avoid the pending fiscal cliff. As reported in an update yesterday, "In record time, the White House responded on behalf of President Obama and rejected the House Republicans' new offer. Imagine WH staffers are now speaking for POTUS in responding to the Leaders of The House of Representative which represent the people of the United States. President Obama was elected with less than 1 % over his opponent last month. But 1% appears good enough for Obama and his White House staff to tell the representatives of the people to "kiss off." . . . The ending of Obama's 1st Term and the beginning his second term is headed to the history books as "epic failure." The White House staff has taken to the airwaves to discount the Republican proposal and like all other situations has portrayed President Obama position as the only way or else! Regardless of the right or wrong regarding this fiscal cliff problem and the fact that the general population people may love their own members of Congress, they appear to blaming Congress verses the failed leadership of President Obama. A new Washington Post-Pew Research Center poll found 53% percent say the GOP members of Congress are to blame and 27% say that Obama deserves the blame and 12% blame both equally. Tags: Senate, UN Treaty, Convention on the Rights of Persons with Disabilities, Defense Appropriations, US House, Republican proposal, fiscal cliff, White House response To share or post to your site, click on "Post Link". Please mention / link to the ARRA News Service. Thanks!